This past spring I got asked to do a Truants mix! It came out late August with a nice little candid interview and background about me. This is probably the most up to date mix of mine showcasing a taste of my live sets recently at the start and cooling off at the end. I got to talk a bit candid about my year and what exactly FARCED is and has become. Interview could be found here. FARCED is 10! An update! Hi dear FARCED blog fans & readers, are you still there?! You can find the tracklist here. I started a show on Dublab BCN, under FARCED of course. Here’s a very special show I did in December for my late father to hear/in his dedication. It’s about 85% Haitian music spanning genres & decades. Haitian Music starts around 15 minutes (but the lead up is great). Tracklist can be found here. I thoroughly enjoyed doing this podcast for Bergsonist’s BIZAARBAZAAR platform. I got to release a lot with this mix and it’s one of my faves! Starts out heavy but ends on a sunny note. Tracklist could be found here on BIZAARBAZAAR’s site. Never got around to updating for this very special female driven mix I made as part of the BEAVER II exhibition in Spring of 2016. Features female musicians who have inspired me. Named after Cosey Fanni Tutti’s Time To Tell track from one of her live performances which is included/immeshed on the mix. Tracklist can be found here. There will be more mixes to come soon & more news! Soon I’ll do a rundown of top FARCED mixes from 2006-2016. Delere Mix & Farced on Berlin Community Radio! Hey y’all. It’s been a while with lots has happening this year, hence the lack of updates. Farced (which turns 8 on September 22!) is now also a show on Berlin Community Radio! Check the nice words about me, this trusty blog & the concept behind the show written by Thomas Painter. Hits the nail on the head, like no one ever has! Read it below or here and enjoy the first show streaming below. Telling a story as usual. Stay tuned to the latest shows via the Farced soundcloud Mixcloud set on Berlin Community Radio’s souncloud. Farced #2 (original air date 8/28/14) coming soon! Happy New Year, everyone! 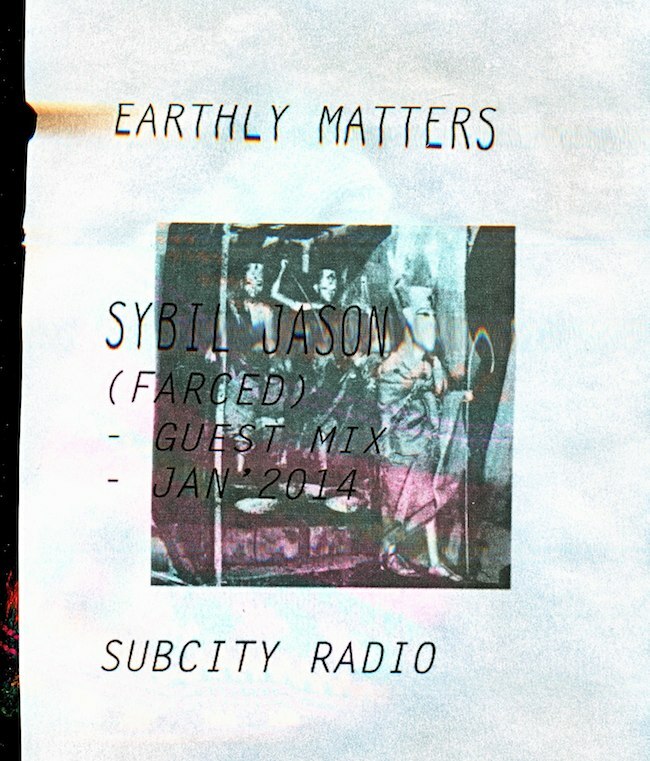 Ecstatic to announce the first mix of 2014 which was a guest mix for the show Earthly Matters on Glasgow’s freeform Subcity Radio. It aired Monday, January 27, 2014. You can stream it here including Gareth’s awesome selections before and after my mix, with his introduction starting at the 24 minute mark. Being asked to make a mix of music that I wouldn’t normally DJ out and from the recesses of my collection, it’s another broad mix but unlike any other. Starting off with “Concentration” by then-12 year old wunderkind Chandra followed by Rogelio Ramos’ Agressiva demo of “Lovepig,” it leads you into a world where there are several themes going, if you’re paying close enough attention to notice. 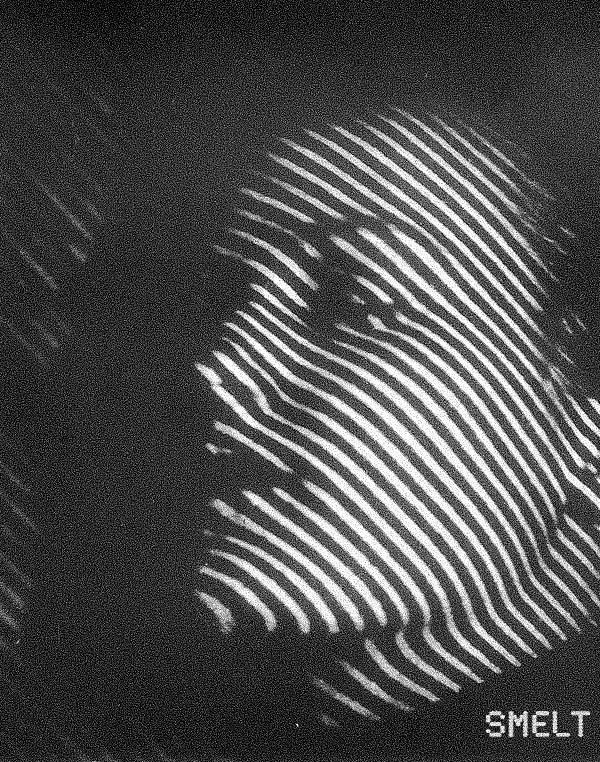 A Flaming Tunes favorite and Maria Chavez‘s remarkable “Medici” from her Topography of Sound series brings the cessation of the nearly 90 minute mix. The name Querencia came after many chats with my cousin while recovering from surgery, whom I have now dubbed my “cosmic cousin.” It correlates with what is going on in my life and coincidentally this mix. “Sybil has been running the blog Farced since 2006. 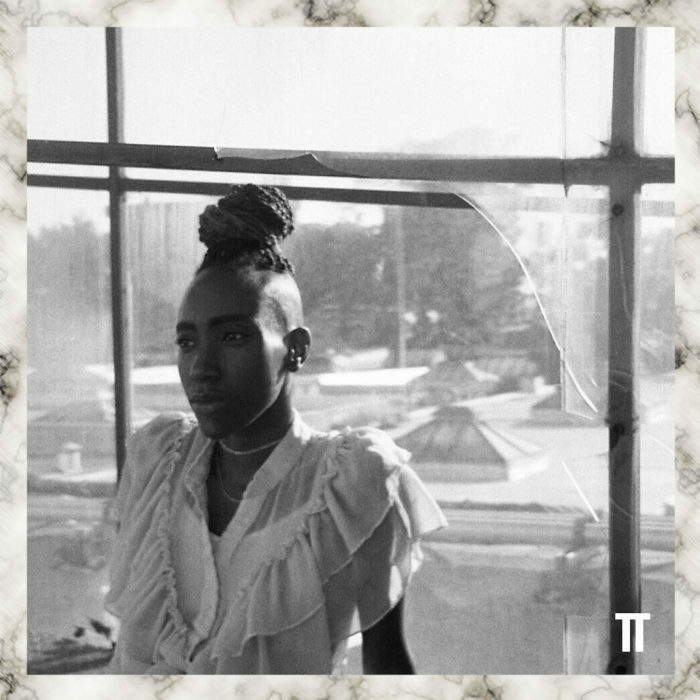 Regularly updated with glimpses into her life living in New York as well as other ephemera, it is her excellent skill as a curator and the frequent mixes that she posts on the blog that noticeably attract attention. Although her selections tend to explore the sounds of minimal synth, post-punk, industrial, noise and experimental music it certainly isn’t the only reflection of her tastes. She will be reaching into the deepest recesses of her record collection for the mix that she has kindly put together for Earthly Matters, entitled “Querencia”. If you’d like to have me do a guest mix, feel free to email me. Plotting some exciting projects that will be announced soon. Long live Farced! 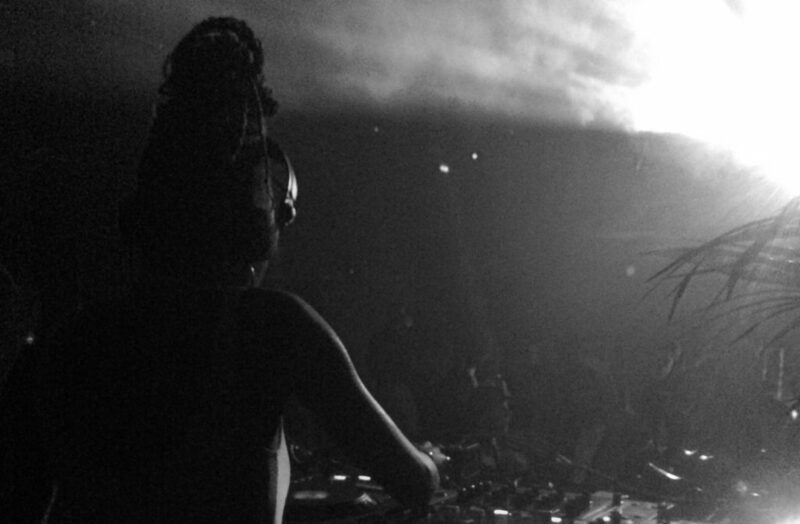 Found a recording of a DJ Set from a King Dude show at WIERD in April 2012, which made me miss the glory that was making people dance in the fog til 3:30am. An amazing feat in itself when you have Nikki Sneakers providing refilled pint sized glasses of margaritas or whatever it was. I miss WIERD. Soon I’ll finally make a list of all Wierd & Minimal Wave (EVR) shows I’ve DJed. This year marks 10 years since my friend suggested I become a DJ because I had “good taste.” We played bi-weekly at The Hole (next to Mars Bar, if you lived in NYC 10 years ago, you know). I feel it’s only right to try to start cataloguing as much as I can about what I’ve done the past 10 years. Thankfully Farced has serendipitously provided plenty of material on here for the 3 years I quit DJing (2007-2010). I’ll always be mixin’ selectin’. Follow Farced on facebook & twitter (or maybe even Instagram!). 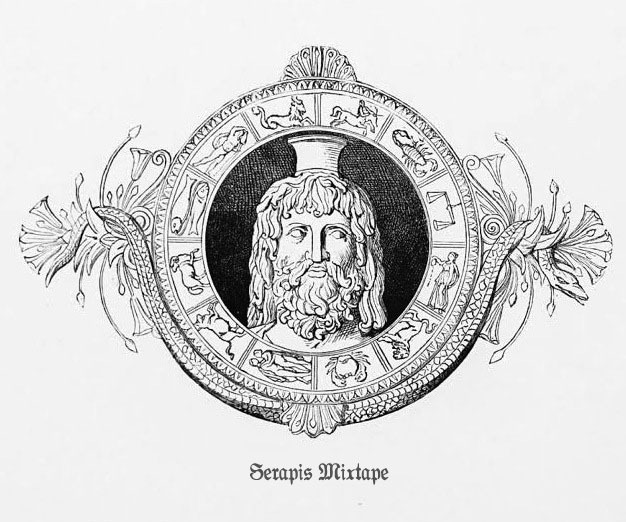 Made a quick 60 minute mixtape this weekend, finally done mixing both sides. Officially last mix for 2013. Enjoy! Featuring The Harrow, Shadowlust, Sleep Museum, Testcard F, Störung, Alive She Died, early Skinny Puppy to name a few. Track list soon. Email me for dubs. Happy holidays! I toyed with changing the name of the mix to just Whiplash, taking a note from the Post-Concussion Mix of 2010, due to this past weekend’s events leading to whiplash & insurmountable pain. Not to mention, the lovely cover by Colette Saint Yves mimics whiplash & reminds me of a doll I have named Princess Death, named after you guessed it: Death from The Seventh Seal. Cover replaced on 3/16/13. Now on to the Smelt mix! 256 kbps; 59:15 Please listen with headphones. Finished on Halloween, Smelt is a 60 minute mixtape that is quintessentially a MIX, the Farced way. Side A (first 29 minutes) starting with Bene Gesserit‘s spastic and “spooky” industrial, tape comp-only released gem preceding a hauntingly comforting New Beat sounding Further Reductions demo leading this techno-laden portion into a Marc Trauner sobriquet release. Alongside Traversable Wormhole, Age Coin’s ticking time bomb, (initially released on cassette via Posh Isolation, soon to be issued on vinyl), Rrose & Entro Senestre who just had a release on L.I.E.S. Further Reductions will have their first LP released soon on Veronica’s Cititrax. Synth laden Side B includes a wonderful mix of rarities & more singles from ever inspiring peers. Starting off with a lesser known played, but typically emotional Parade Ground track leading into rare Finnish post-punk by Geisha, contemporary one woman wonder & synth goddess: VOID VISION, Andi Arroganti whose website reads “This Internet site is exclusive, even so exclusive that it de facto is no internet service'” (note to self), Danish Post-Punk from 1980, demo from buds Figure Study, Christiana’s Delphic Oracle single that I’ve been wholeheartedly obsessed with, and queen of ArabWave herself, Faten Kanaan‘s dreamlike single that is absolute mirth finished off by the underwater world created by Hanjo Erkamp, ex member of Ende Shneafliet. All in all, there are a lot of unplanned synchronicities in this mix with the lyrics, titles and sampling, as there are in life but I couldn’t be more happier about it. This past September marked seven years of Farced being in cyberspace. I dabble in thinking of pulling the plug all the time, especially now that it’s been seven years. 7 is a number of completion and frankly the amount of money I spend on webhosting & the srsly.tv domain per year, out of my own pocket with no ads is adding up, considering I don’t post regularly. However, I do get messages, especially lately about my blog & mixes. 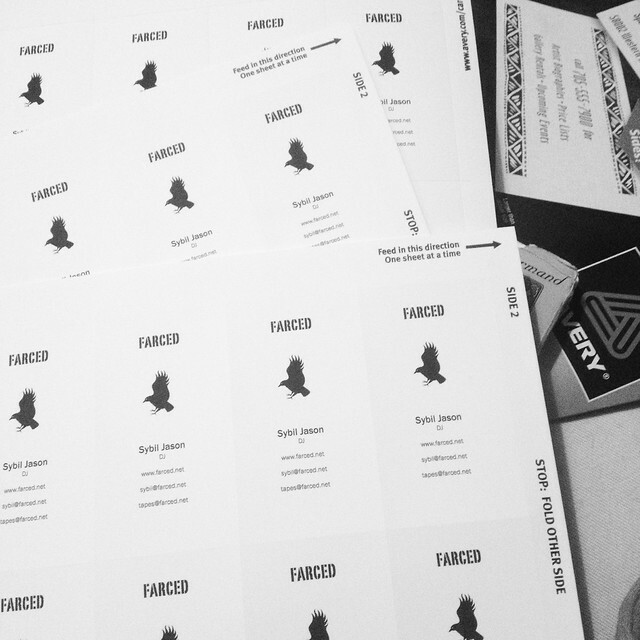 So Farced will be up, with small updates here and on the F*acebook page. More mixes here. If my back weren’t fucked, I’d post a photo of me bowing out, but alas, see you on the flipside. ETA: 11/2017 Limited run tapes can be purchased here. Back in August I made a 90 minute mixtape aptly titled Fliehen. I posted it to Soundcloud but (as usual) not being satisfied with the final results, I made it private planning to re-record it. I finally just let it be, especially since the 7th birthday of Farced came and went. In a few days, I’ll post the last likely mix for Farced. Dedicated to Katie Rosebot & Sean Ragon! If you’d like a dub of this tape, please email me. P.S. Farced finally has a F*cebook page! Please “like” here.